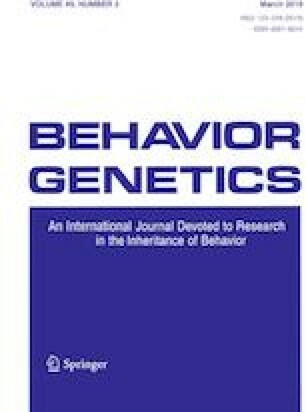 The fact that genes and environment contribute differentially to variation in human behaviors, traits and attitudes is central to the field of behavior genetics. Perceptions about these differential contributions may affect ideas about human agency. We surveyed two independent samples (N = 301 and N = 740) to assess beliefs about free will, determinism, political orientation, and the relative contribution of genes and environment to 21 human traits. We find that lay estimates of genetic influence on these traits cluster into four distinct groups, which differentially predict beliefs about human agency, political orientation, and religiosity. Despite apparent ideological associations with these beliefs, the correspondence between mean lay estimates and published heritability estimates for the surveyed traits is large (r = .77). Belief in genetic determinism emerges as a modest predictor of accuracy in these lay estimates. Additionally, educated mothers with multiple children emerge as particularly accurate in their estimates of the genetic contribution to these traits. The online version of this article ( https://doi.org/10.1007/s10519-018-9931-1) contains supplementary material, which is available to authorized users. Research was supported in part by a grant from the John Templeton Foundation as part of their Genetics and Human Agency initiative (Grant Number 60780). Emily A. Willoughby, Alan C. Love, Matt McGue, William G. Iacono, Jack Quigley, James J. Lee declare that they have no conflict of interest. All procedures followed were in accordance with the ethical standards of the responsible committee on human experimentation (institutional and national) and with the Helsinki Declaration of 1975, as revised in 2000 (5). Informed consent was obtained from all participants for being included in the study. This article does not contain any studies with animal subjects performed by the any of the authors.